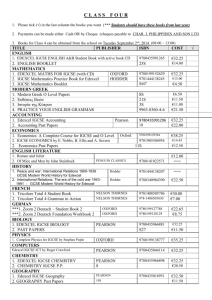 provide detailed performance data to teachers and students which help to raise attainment. contributed their time and expertise to its development. 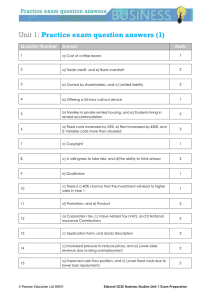 The relationship of assessment to the qualifications available is shown below. and Advanced Level in Physics, and other comparable post-16 qualifications. 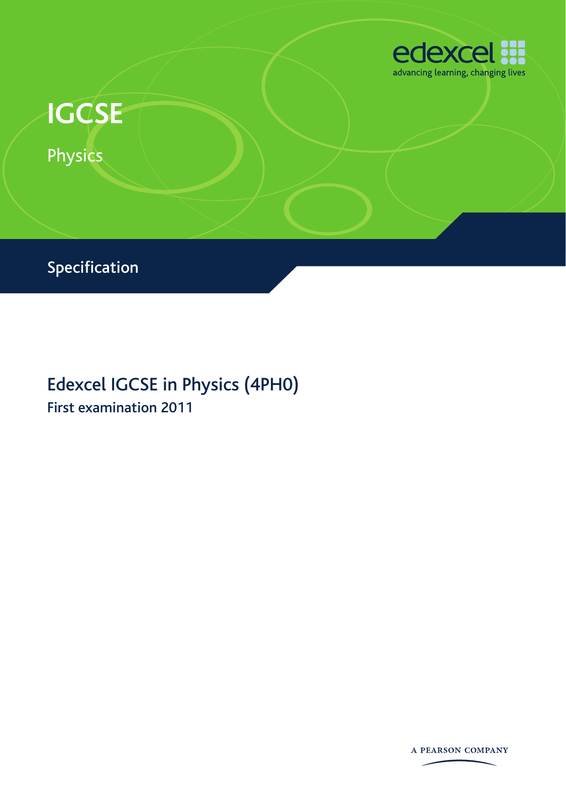 The Edexcel IGCSE in Physics qualification comprises two assessments. 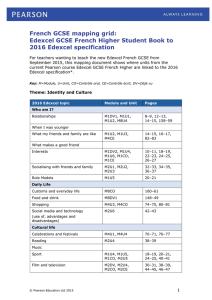 The paper is assessed through a 2 hour examination paper set and marked by Edexcel. The total number of marks is 120. The paper is assessed through a 1 hour examination paper set and marked by Edexcel. The total number of marks is 60. Paper 1 will assess only the content which is not in bold. 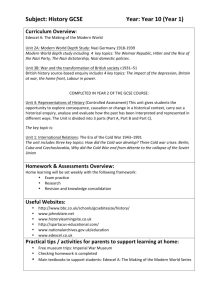 Paper 2 will assess all content including content in bold. after the forces causing deformation have been removed. 1.30 recall that the moon orbits the earth and that some planets also have moons. planets and the moon from that on the earth. – state that the universe is a large collection of billions of galaxies. between this and the direct current (d.c.) supplied by a cell or battery. • the volt is a joule per coulomb. diffraction depends on the wavelength and the physical dimension of the gap. • gamma rays: cancer, mutation. appreciate that the loudness of a sound depends on the amplitude of vibration. metre/second2 (m/s2), newton (N), second (s), watt (W). production from various renewable and non-renewable resources. metre/second2 (m/s2 ), newton (N), pascal (Pa). 6.1 use the following units: ampere (A), volt (V), watt (W). 6.7 know how to use two permanent magnets to produce a uniform magnetic field pattern. the strength of the field and with the current. the problems arising in the disposal of radioactive waste. is used as an energy source to generate electricity. bold will be assessed in this paper. The maximum mark will be 120.
this paper. The maximum mark will be 60.
ramped to ensure accessibility for less-able students, as well as to stretch more-able students. make informed judgements from them. 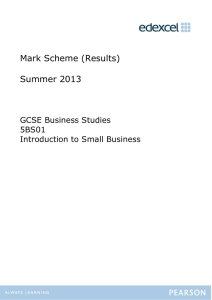 Edexcel IGCSE in Science (Double Award (4SC0). dates for submission of the forms. Students must follow the Health and Safety rules which normally operate in their laboratories. so and then only with great care. be graded and certificated on an eight-grade scale from A* to G.
an unclassified U. Where unclassified is received it will not be recorded on the certificate. The first certification opportunity for the Edexcel IGCSE in Physics will be 2011.
sufficient standard to be recorded on a certificate will receive an unclassified U result. equal opportunities exist for all students. 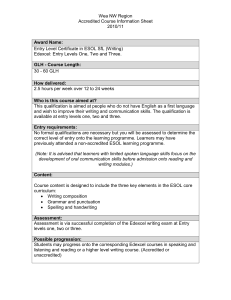 Edexcel Level 3 BTEC National Award/Certificate/Diploma in Applied Science. methods used that would enable them to collect more reliable evidence. evaluate how strongly their evidence supports the conclusions. 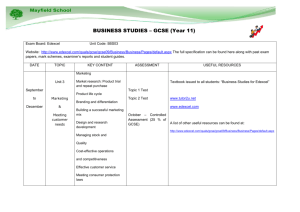 management teams, and students by providing detailed analysis of examination performance. volume of helpful information that can be accessed via the service is growing all the time. the main homepage at www.examzone.co.uk.